This year The Yard is taking part in The Big Give’s Christmas Challenge, the UK’s biggest online match funding campaign for charities doing brilliant things across the country. We’re aiming to raise £6,000 in online donations from friends and supporters in order to host a year of creative activities for local children, young people and their families at the community centre we run in Hackney Wick, Hub67. From noon on Tuesday 27th November until noon Tuesday 4th December every £1 you donate to The Yard will be DOUBLED by The Big Give, bringing the total to £12,000. One donation, twice the impact. We believe every child should have the chance to become confident, learn new skills and imagine a better world through the magic of theatre. It’s extra important our work happens locally because Hackney Wick is one of London’s most deprived wards, with many children disproportionately affected. A staggering 59% of local children are eligible for Free Schools Meals, compared to the 15% national average. Hub67 is the only fully-accessible, free community space where these children and their families can get to easily, experiencing the joy and discovery of theatre right here in the local neighbourhood. 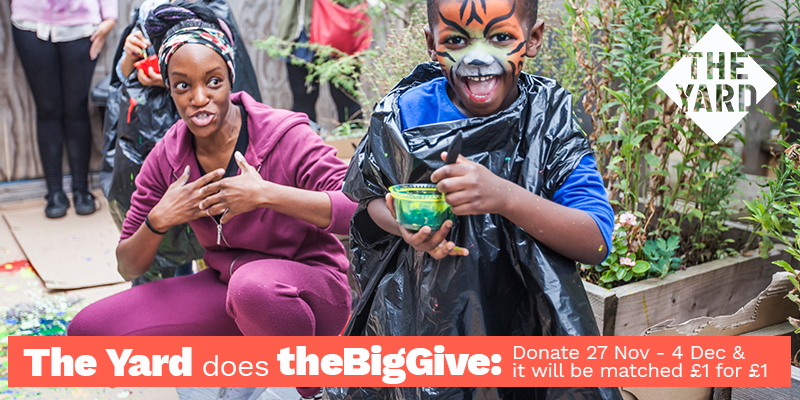 All the money we raise from The Big Give will go towards a year of activities for young people and their families at Hub67 – ranging from theatre workshops to community celebrations and beyond. The campaign launches on Tuesday 27th November and runs until Tuesday 4th December and EVERY £1 that is donated gets DOUBLED by The Big Give. We’ll be reminding you over the next week when the campaign is going to be kicking off, and then amping it up during the week that it runs – and the link to donate is right here. If you have any spare £1s to give to support our work please do – but we know not everyone does! So if you can share the link we would absolutely love that too. 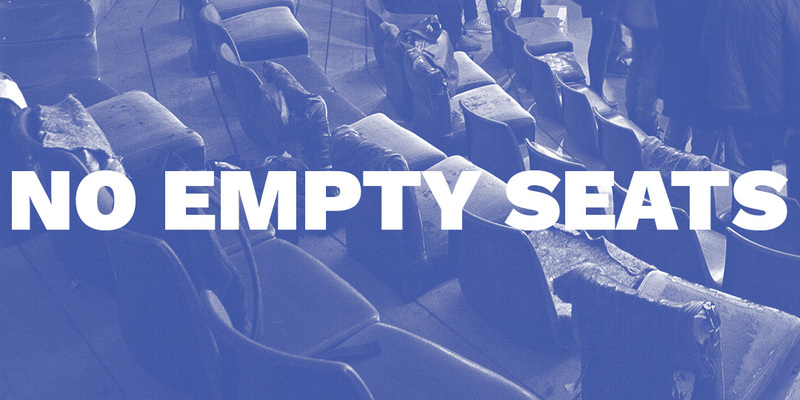 If you have any questions please drop us a line at info@theyardtheatre.co.uk or a tweet @YardTheatre. And one more time – here’s the link to donate between Tuesday 27th November until Tuesday 4th December.